Looking for things to do in Seoul? This comprehensive travel guide will give you all the tools you need to make the most of your time in South Korea's most famous city. 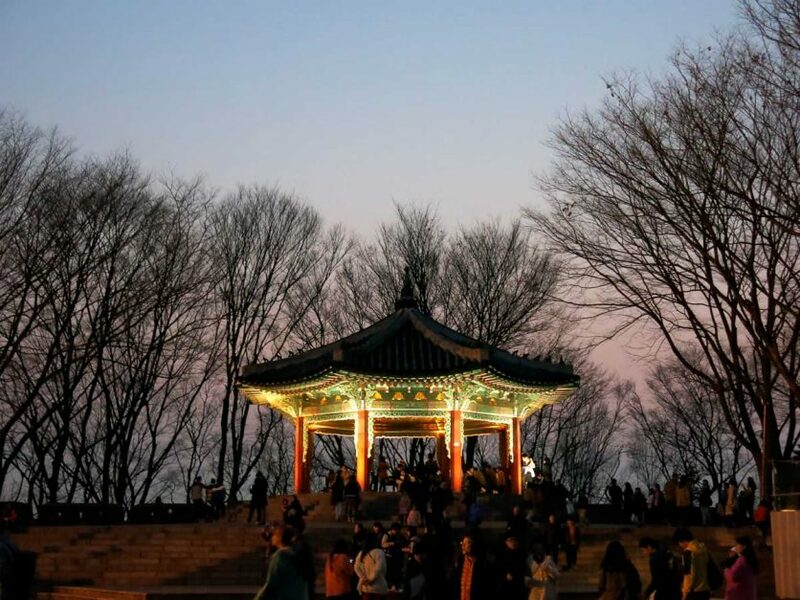 Former expat Jade gives you the lowdown on the best things to see in Seoul, what to do and where to eat in South Korea's capital. Whether this is your first time visiting Seoul or you are a return visitor, these travel tips and suggestions will help you make the most out of your Seoul vacation. Seoul, South Korea, is one of those dynamic Asian capitals that is constantly evolving and expanding, yet steeped in history and tradition. 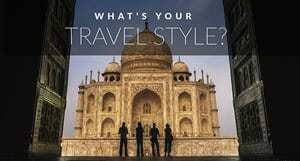 It is a place where you can visit grand palaces in the morning, hike a mountain in the afternoon, and bar-hop in neon-lit streets in the evening with thousands of other locals and travelers. Make sure to check out my other article that details all the best neighborhoods as well as the best places to stay in Seoul. This article will help you find the best things to see in Seoul, the best tours and attractions in the city. 20. Drink like a Korean! When I lived in South Korea, I lived in a small town 4 hours away from Seoul that is famous for growing garlic. It felt as far from the buzz of the capital as you could get! My boyfriend and I absolutely loved heading to Seoul for weekends away and playing tour guide to family and friends. It’s an amazing introduction to the diversity of Korea. This article is meant to give you an insider’s look at what to do in Seoul from someone who has lived in the city. I have made sure to cover some behind the scenes information, a few unique things to do in Seoul and some of the more common tourist attractions in Seoul. I want you to see the best of the city on your next vacation. There are so many places to visit in Seoul. There are superb museums and art galleries, gourmet restaurants and adorable cafes, awe-inspiring cultural attractions, and sensational views from sky-high buildings. 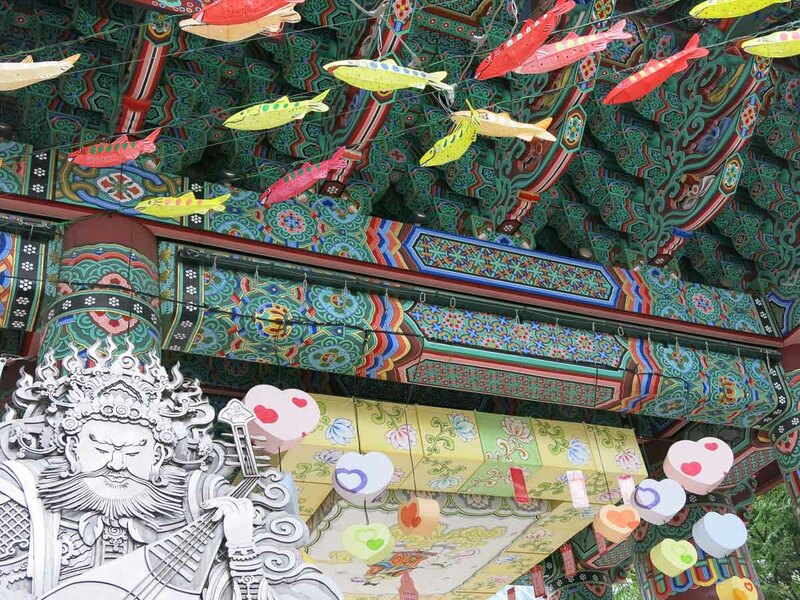 You could spend a week in Seoul and still have things to tick off your must-see list. 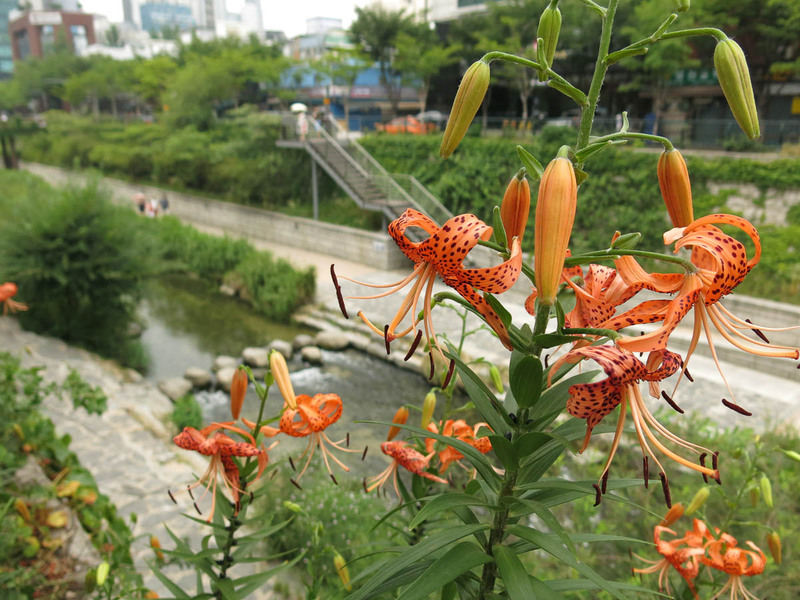 So, without further adieu lets take a look at the best things to do in Seoul! The best way that you can save money and see all of the sites is to get yourself a Discover Seoul Pass. The Discover Seoul Pass also gives you discounted entrance to another 30 attractions and can be ordered before your trip and picked up at Incheon International Airport. Book your Discover Seoul Pass Now! One of the best views in all of Seoul is from the iconic N Seoul Tower in the Myeongdong district. The city skyline of Seoul, peppered with little hills and mountains and the winding Han river, is absolutely breathtaking. At sunset, just before all the city lights come on, is the best time to head up Namsan Hill and the N Seoul Tower. The best way to access the tower is via the cable car. It is the fastest way to get up the tower and only costs around $8 USD. If you have a little more time or are feeling up for some exercise you can choose to walk up via the road that winds up the mountain. If a cardio workout is in your future you can take the set of stairs that lead to the top. I suggest taking the longer walk around the mountain if you are there during the Spring when the cherry blossoms are in bloom. It is just magical. The observation tower opens at 10 am and closes at 11 pm every day, apart from Saturday when it closes at midnight. Entry costs just 10,000won which is just under $9. A return trip on the cable car is 9,500won. You can get your ticket here or, if you have the Discover Seoul Pass, the entry cost is included. 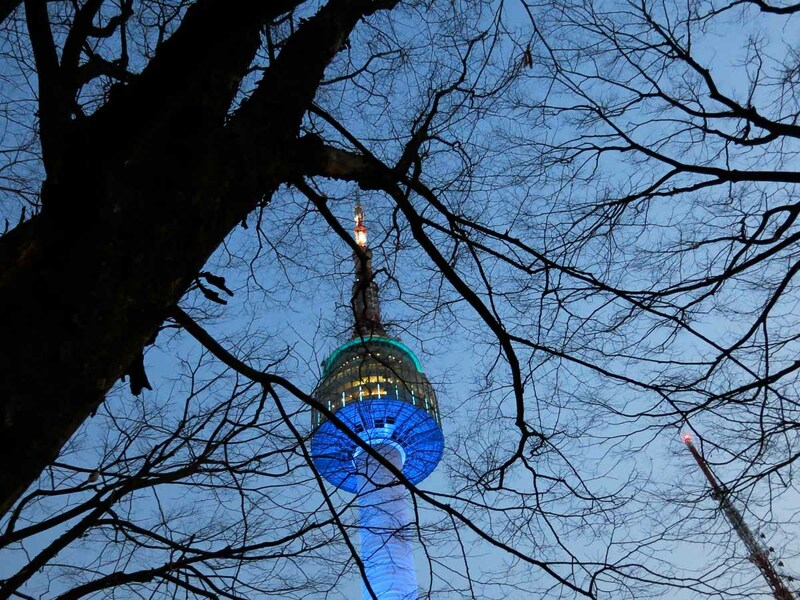 You can find more information on the N Seoul Tower website. 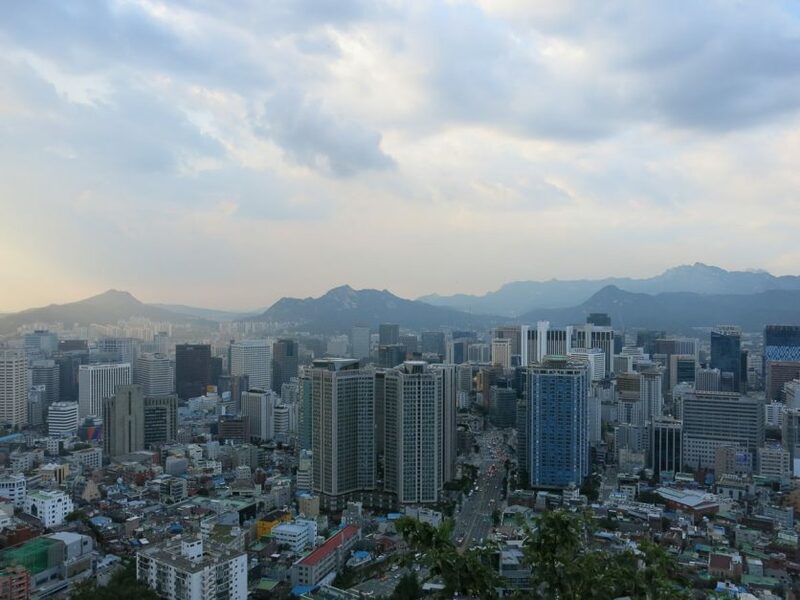 From Namsan Hill you can wind your way through the maze-like streets of Myeongdong. 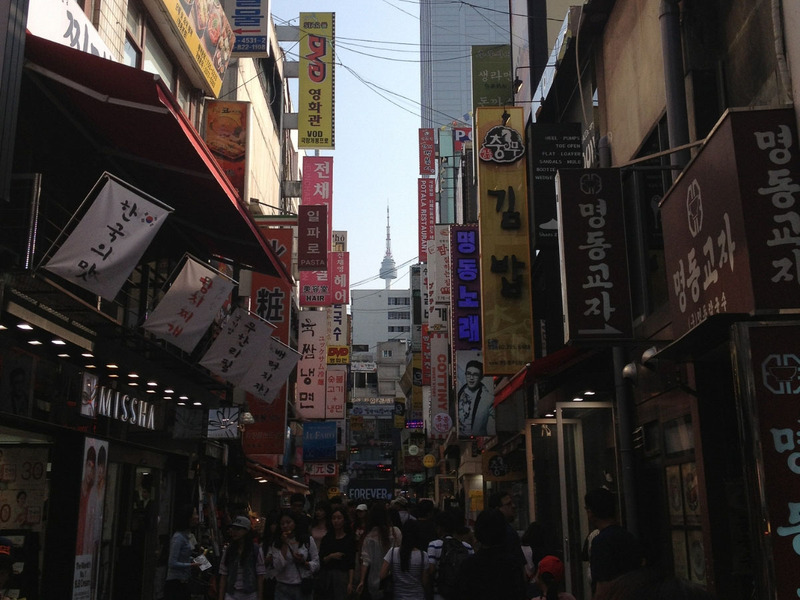 The unofficial shopping district of Seoul, this area is frenetic, fun and full to the brim with people. This place has a little bit of everything. From people dressed in Cosplay and K-pop performances to incredible street food and some of the strangest ice creams, you will see in your life! If you are into shopping or into street photography, you could probably spend a whole day here. Also, if you are looking for all the best photo spots in Seoul make sure to check out this Full Day Iconic Photo Tour. Remember to explore off of the main streets as that is where you will find the best deals and coolest areas. If you are looking to change money, there are a ton of money changers in this area. Just remember, the best rates are on the outskirts. You can withdraw money from ATMs in Seoul, just make sure to look for a Global ATM. Get around Seoul on a Hop on Hop off Tour for less than $20 including stops at the palaces and Gangnam City! For your first dose of Korean history, head to Gwanghwamun Square. Here, you’ll find statues of some of Korea’s most notable figures set against the backdrop of Gyeongbukgung Palace and Bukhansan National Park. 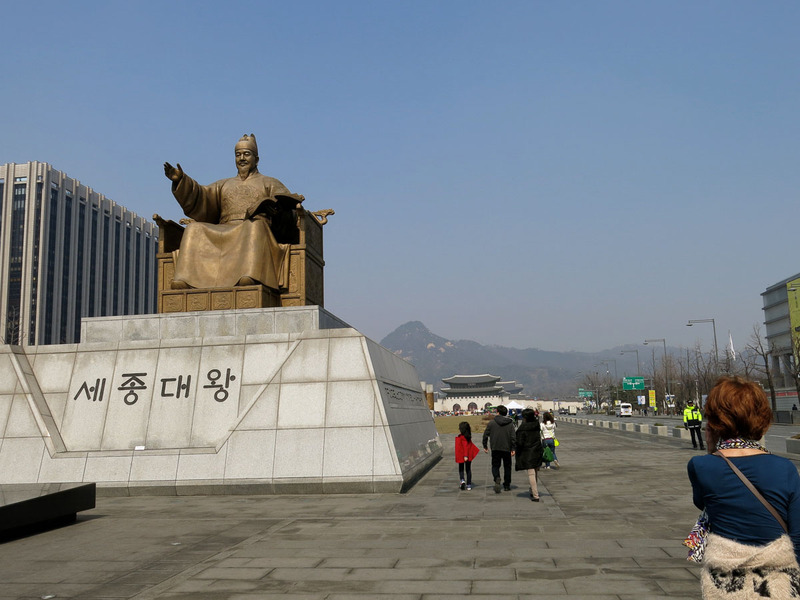 Underneath the statues is a small museum dedicated to King Sejong and Admiral Yi Sun-Shin which is well worth a look. The replica of one of Korea's elaborate old navy vessels is really spectacular. The museum is free and you'll need less than an hour to look around. 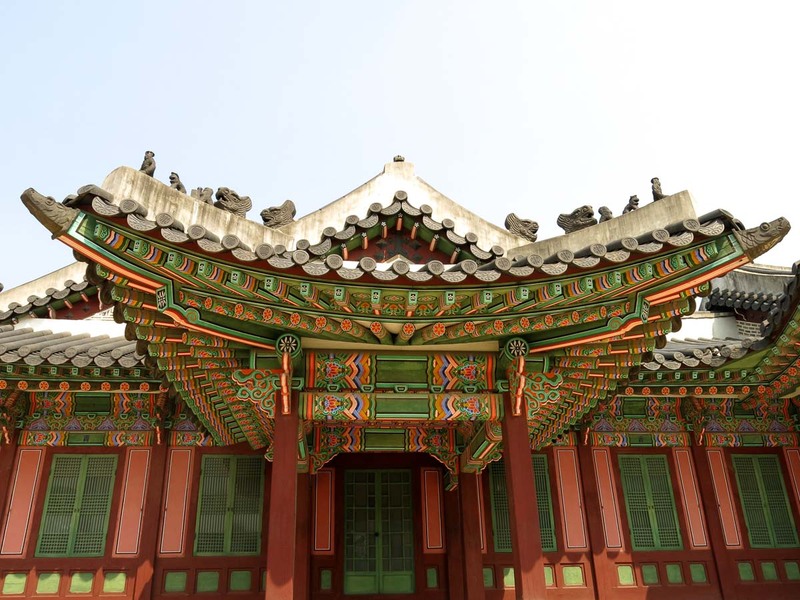 Of Seoul’s 5 grand palaces, Gyeongbukgung is certainly the most popular and for good reason. This incredible complex is a living portrait of Korean history, culture, and architecture. 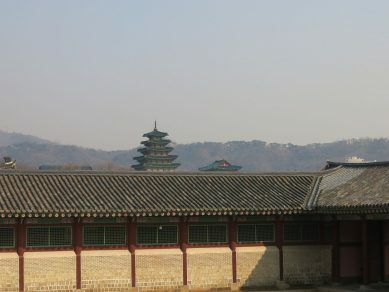 Built in 1395, a few years after the founding of the Joseon Dynasty, it is the largest of the 5 Joseon palaces and also houses the National Palace Museum of Korea and the National Folk Museum. One thing you should make sure you check out is the changing of the guards at the main Gwanghwamun entrance. This is always a cool thing to watch and it includes the tallest soldiers that are hand-picked. Definitely among one of the most a unique things to see in Seoul. 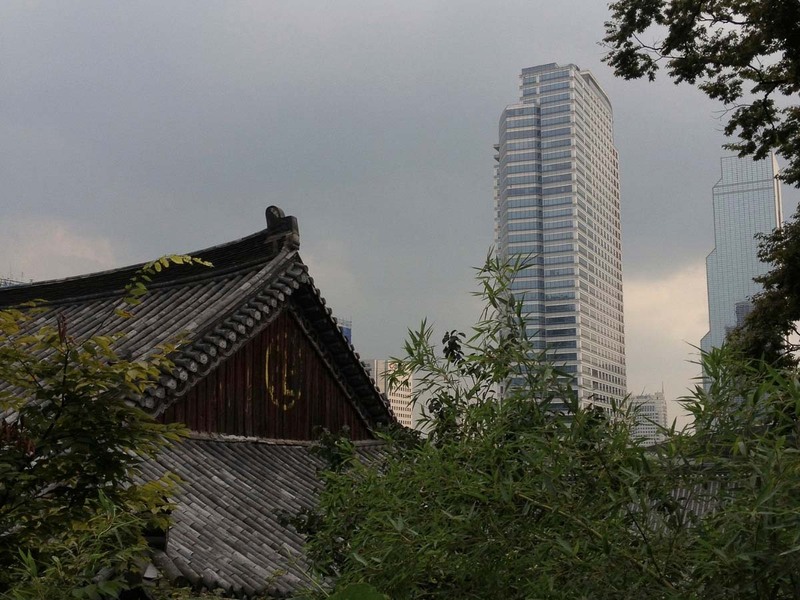 Make sure you leave plenty of time to soak it in slowly as you wander among the many buildings, temples, and gardens. Note that the palace is closed on Tuesdays. The palace opens at 9am and closes at the earliest 5pm. Check the current closing times for the month you are visiting here. There is also audio commentary and a free guided tour at 11am, 1,30pm and 3,30pm. 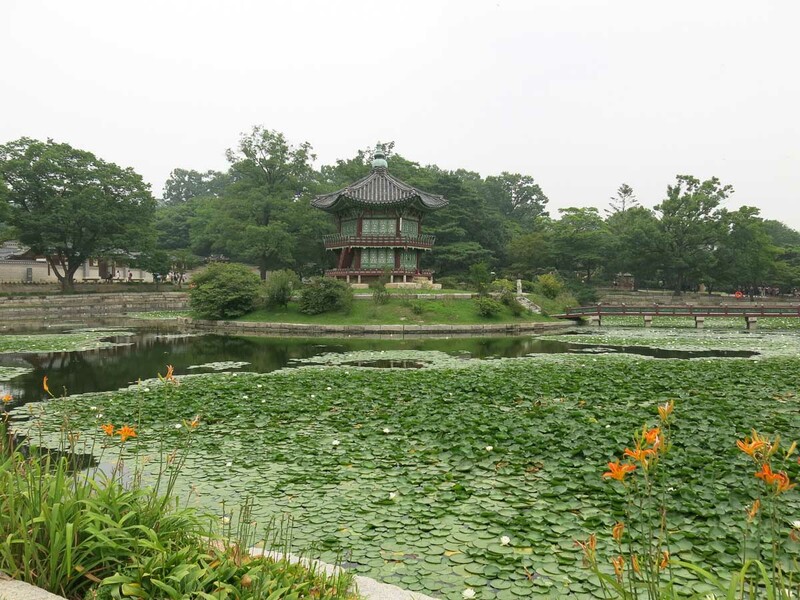 If Gyeongbukgung Palace wasn’t enough, then head to Changdeokgung Palace to the east. This secondary royal palace built in 1405 is a little quieter than Gyeongbukgung but no less spectacular. Set in beautifully manicured gardens, this is a great place to come in spring or autumn when the trees put on their best show. Note that the palace is closed on Mondays. The palace opens at 9am and closes at the earliest 5.30pm. Check the current closing times for the month you are visiting here. Don't forget that this is included in your Discover Seoul Pass as well. Located in the heart of the city, this temple offers an insight into Korean Buddhism and what it means to the people of Seoul. As the head temple of the Jogye order of Buddishm, Jogyesa is the location of many important Buddhist events, including a special lantern festival held for Buddha's birthday in May. The intricate architecture will blow you away and the peaceful halls offer a tranquil space to step away from the crowds of downtown. Local Tip: If you are looking for a different experience and true peace and quiet I recommend a trip up to Gilsangsa Temple. It is located a little further north and about a 20-min. walk uphill. But once you get there you will see why it was worth it. One other cool fact about this place is that in their meditation hall, the public is also allowed to meditate at any time of the day. Jogyesa is open year round. Entry is free but it is possible to make a small donation if you wish. Find out about Jogyesa's Temple Stay program here. The Bukchon Hanok Village is a window into Seoul hundreds of years ago, with painstakingly preserved traditional houses, restaurants, and cafes. 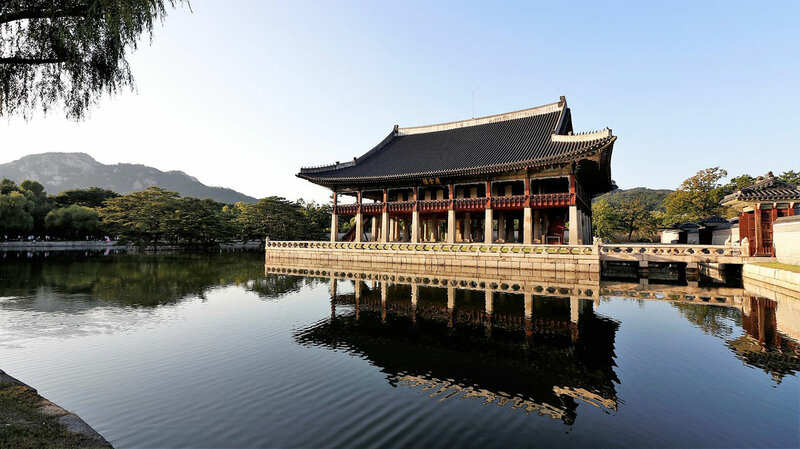 The architecture is representative of the Joseon Dynasty that reigned for almost 5 centuries. Positioned on a small hill, the village is a stark contrast to the rest of Seoul stretched out below. Take a stroll here with camera in hand and find a quiet spot for a green tea or a shaved ice dessert in a traditional old building. The best way to explore this area is on a walking tour. This 3 Hour Tour is what we recommend. Seoul used to be fortified with a long city wall that climbed up and over the many hills that surround the city. 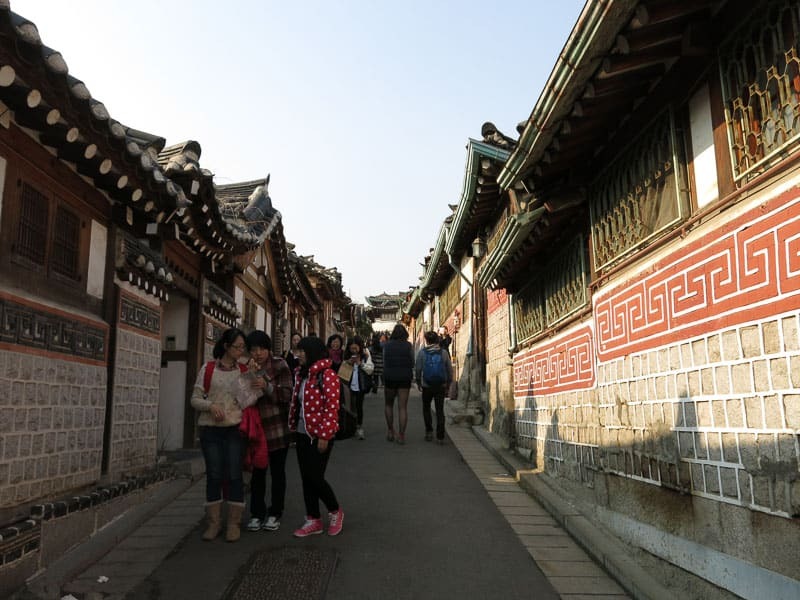 Built in 1396, it has been around for as long as the city has been the capital of Korea. 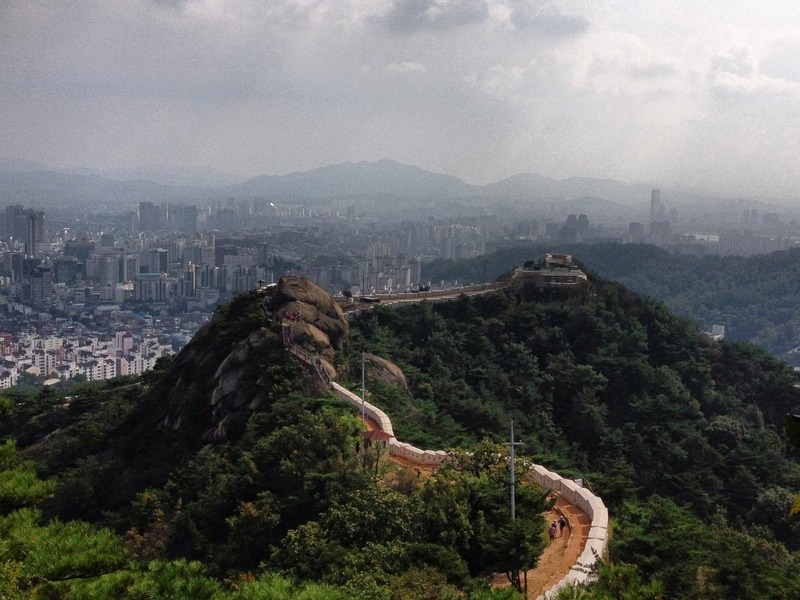 Parts of the city walls still remain alongside hiking routes that offer fantastic views of Seoul. 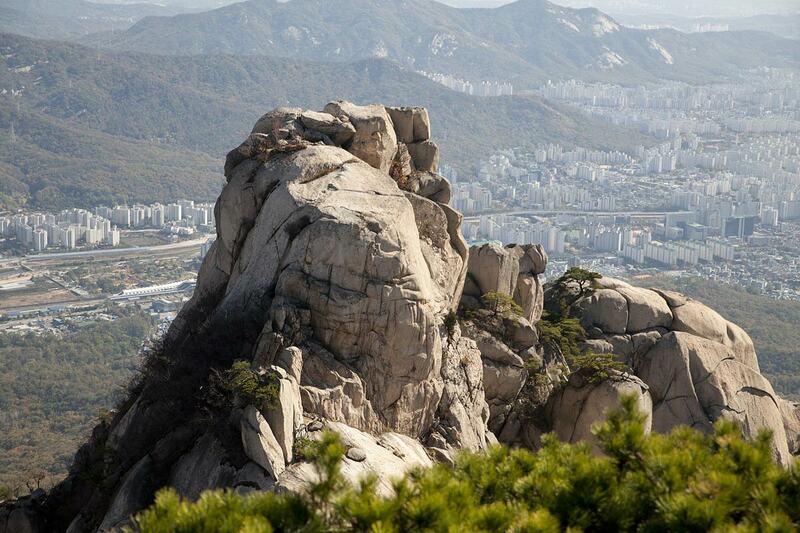 The Inwangsan Peak is one of the best viewpoints along the walls, with views over Gyeongbukgung Palace. This sunken waterway offers more than 10km of public recreational space and feels almost like a public park with its trees and rushing water. Yet, high above you tower some of Seoul’s largest buildings! This is a fantastic place to come at night when a light show is played out over the water. 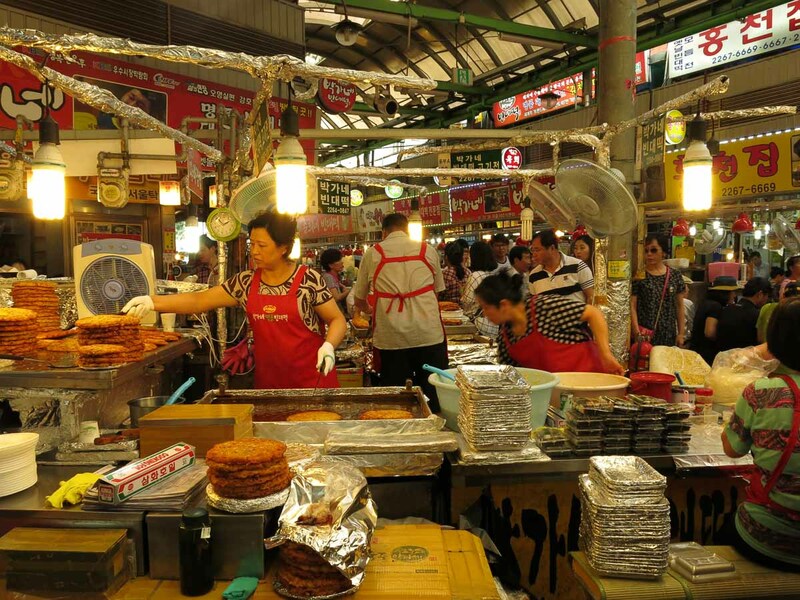 If you’ve come to Korea to eat, you shouldn’t miss the Gwangjang Market. One of Seoul’s best foodie markets, there are endless Korean food specialties to try here all under one roof. Make sure to try things like kimbap, bindaetteok and soondae (a type of blood sausage) if you are an adventurous eater. Go hungry and scout out the most popular stalls; you won’t be disappointed! If you don't want to venture into the market and guess what you are eating this Food Tour will give you the best taste of traditional dishes! Gwangjang Market opens at 8.30am for trading and closes at 6 pm, with the restaurants inside staying open until 11 pm. 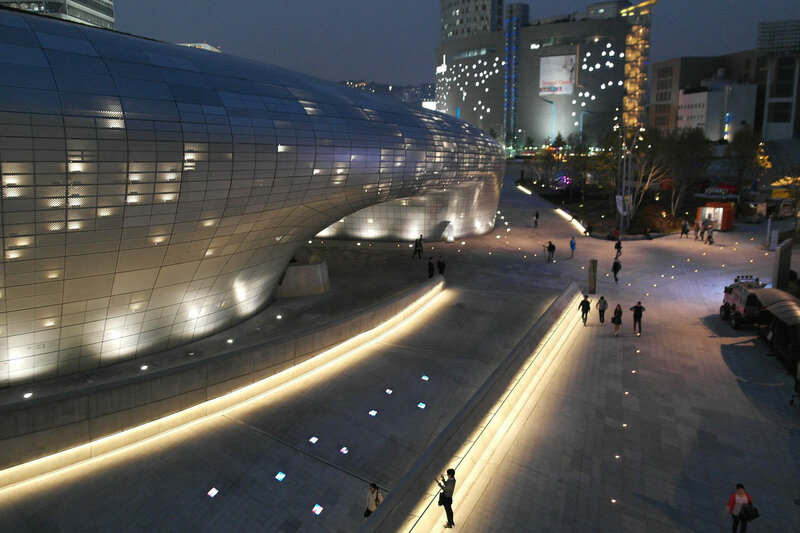 Dongdaemun Design Plaza is one of Korea’s most iconic modern landmarks and shows a different side of the city than the palaces and temples. The building was designed by Zaha Hadid who designed the Morpheus Hotel in Macau and the Heydar Aliyev Center in Azerbaijan. The plaza is a multi-purpose space devoted to Seoul’s creative industry and is a visual joy to explore. It is also an Instagrammer's dream. With slick lines and beautiful architecture, if you are looking for a great shot this is the place. The Plaza opens at 10 am and closes at 7 pm, Tuesday - Sunday. 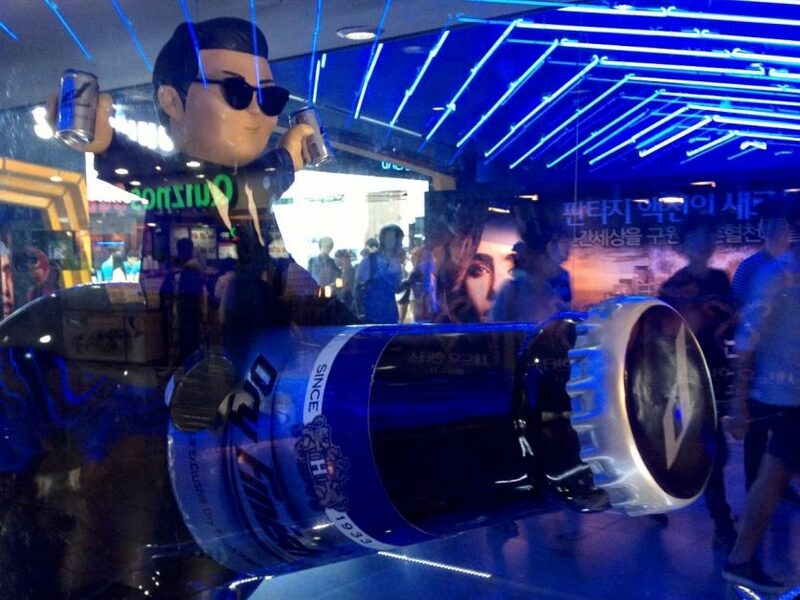 Yes, that is Psy riding one of Korea's classic beers! When the sun goes down, there is one place you’ll want to be to experience Korean nightlife: Hongdae. With Hongik University nearby, this area has a ‘college town’ feel with lively restaurants and bars around every corner. It is also great for cafe-hopping and shopping during the day. For kids who love K-Pop why not treat them to a K-Pop Star Song Customized Recording Experience. They can record their own single and film their own music video, guided by professionals who work with their favorite K-Pop stars. For the adults, if you want to skip the lines at a bunch of the bars the check out this Skip the Line Pub Crawl! It takes place every Saturday! 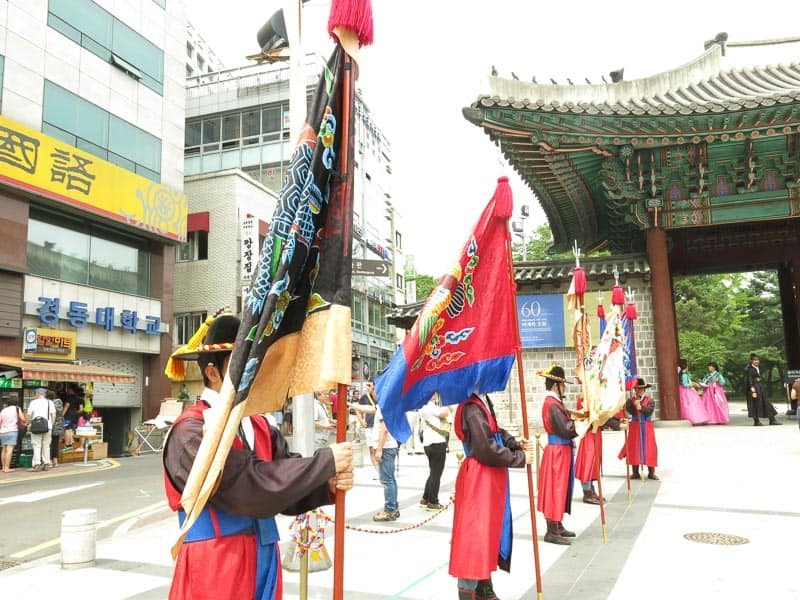 Gangnam district may be famous for being the birthplace of K-Pop but it also houses one of Seoul’s oldest temples. Away from the crowded shopping malls and congested streets is the peaceful complex of Bong Eun Sa Temple. It was built way back in the 8th century and it's incredible to imagine how the city would have looked then compared to now. We came here once to find it strung with hundreds of paper lanterns and it was breathtaking! Bong Eun Sa is open year round. If it’s more of modern Seoul that you are after, then make your way out of central Seoul to Gwangjin-gu across the Han River from Gangnam. Here you’ll find one of the cities coolest new additions, a shipping container village full of shops, cafes, and pop-up exhibitions. Common Ground is open from 10am until 10pm, with some restaurants staying open until past midnight. To truly understand South Korea, it’s important to learn about their northerly neighbor. While a day trip to the DMZ will only be a glimpse into the long and harrowed history of divided Korea, it is the closest you can get from the capital. To visit Korea's Demilitarized Zone, you'll need to book onto a tour. Get Your Guide offer full and half day tours from $42. 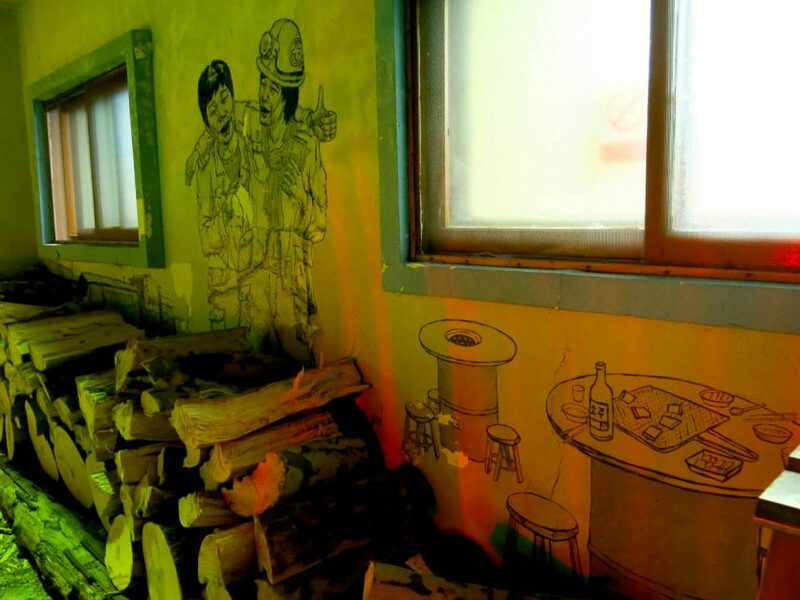 In 2006, the Ministry for Culture, Sports, and Tourism brought artists into an impoverished area of Naksan Hill to breath new life into the streets with art. 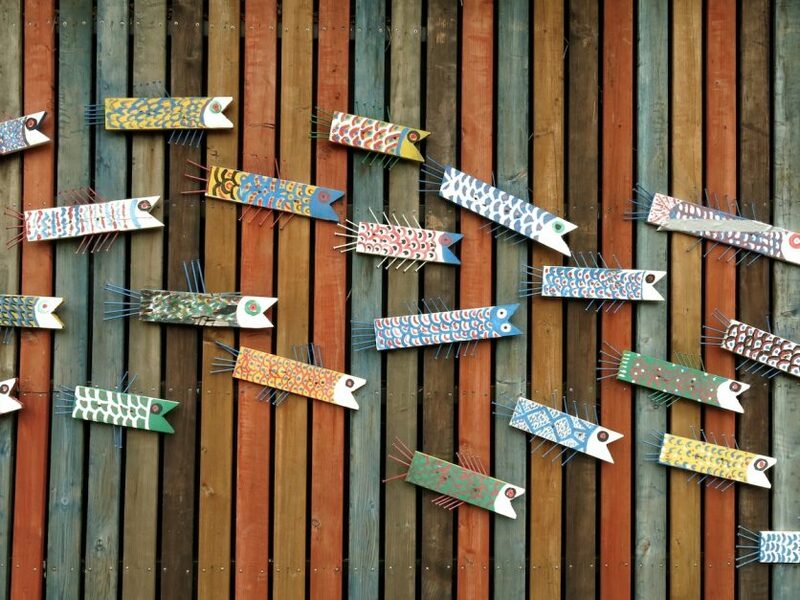 Today, you can wander the neighborhood in search of your favorite mural and enjoy the local cafes and restaurants. Be aware that this is a residential area, so respect people’s privacy. Taiwan may be the birthplace of the ‘Animal Cafe’, but Korea has definitely taken the movement to new levels. In Seoul, you can have a latte with a labrador, a cappuccino with a cat, and even a mocha with a meerkat. With a little research, I’m sure you’ll find your favorite animal to have a drink with in Seoul! We went all the way out to Gangnam to a small dog cafe called The Wal'z but I definitely want to check out Meerkat Friends in Mapo-gu when I'm next in the city! It's not easy to get a good snap in a disco-light lit Karaoke room! This is definitely one of the best things to do in Seoul at night. 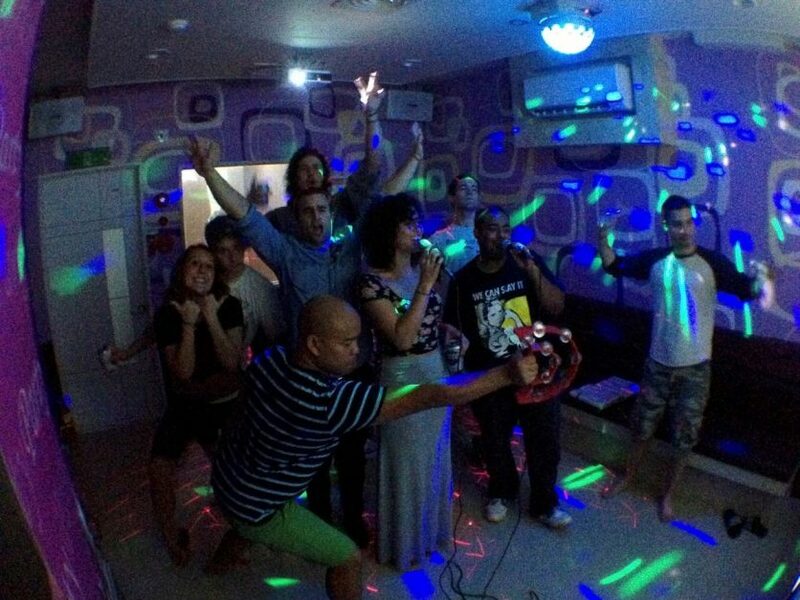 Korean Karaoke is very different from its western counterpart, taking place in private rooms rather than publicly. These noraebangs, literally ‘singing rooms’, can be found in all districts and open all hours of the day! Grab your friends, order as many drinks as you need and have a blast! 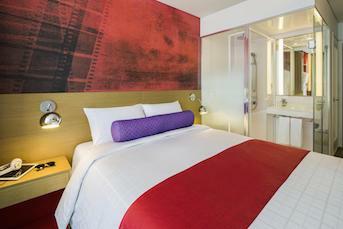 A room can range between US$5-$20 for an hour depending on how luxurious it is. Choose one in an international area like Hongdae, Gangnam or Itaewon and they’ll be sure to have plenty of songs you know. One of the most popular places for karaoke in Seoul is Luxury Su Noraebang. I think what this so popular is you can look out over an open glass window and serenade the crowds of Hongdae. 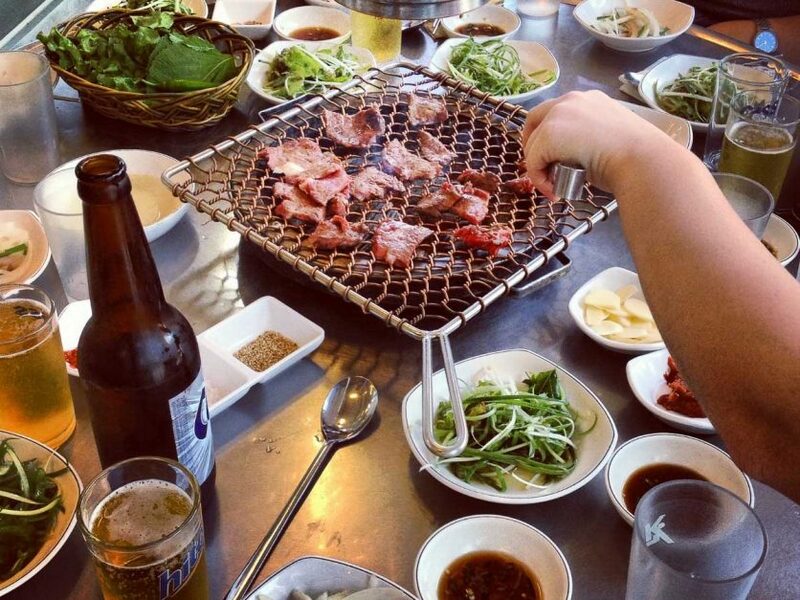 Order samgyeopsal for delicious pork belly BBQ! No trip to Korea is complete without devouring your weight in Korean BBQ. Many specialize in a specific type and cut of meat and are recognizable by the individual extractor fans hanging over each table. Make sure to try roasting some garlic and kimchi on the grill for a true Korean BBQ experience. Something to go hand in hand with the previous two must-dos is drinking like a Korean. If you drink, there are a number of special South Korean beverages that you must try. The first you may have heard of: Soju. You can find this rice wine in any bar or restaurant, and it goes very well with Korean BBQ. The second drink you should try is makgeolli, which is a milky rice beer that is best served in a traditional makgeolli bar along with fried Korean snacks. 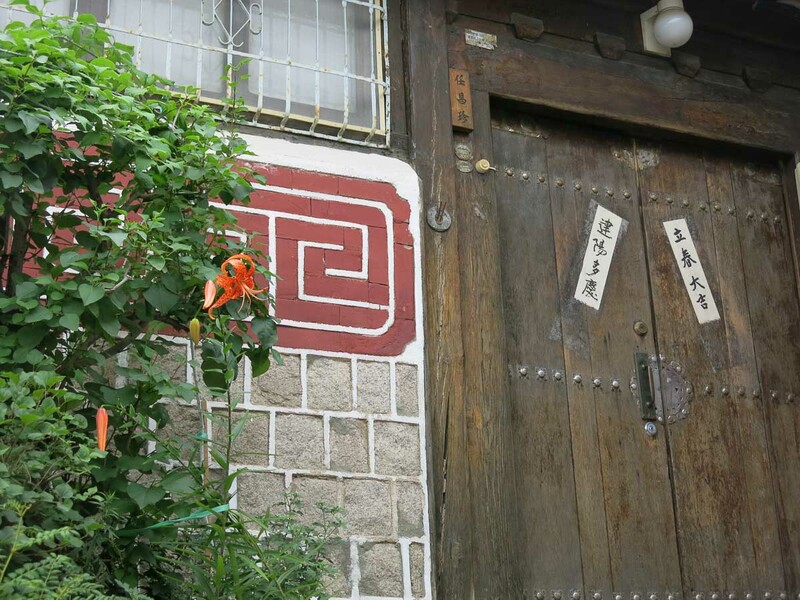 A really cute little place to go in Hongdae (see above) is on Eulmadang-ro street. I'm not even sure of the name as it's a bit of a hidden gem, but it's on the second floor and opposite Nature Republic! You can order Makgeolli here. If hiking is on your list then this is a must do. The hike itself offers great views and you don't necessarily have to go all the way up to the top to enjoy the beautiful views. Depending on where you start you can do the hike in about 2 hours one way. We recommend the Bukhansanseong Trail. Grab yourself a map at the visitors center at the bottom and follow the signs that say Baegundae as that is the name of the peak. This is a popular hike so you will definitely encounter other hikers. You can take the same trail back or if you want another view you can cross the park and walk along the fortress wall. If you want to take it a bit slower and make it an all day thing you can book a guided tour here that spends a half day on the mountain and finishes with a Korean Style Spa. For opening times and directions check the official website. While I’ve tried to be comprehensive with this list of things to do in Seoul, these activities and sights only really scratch the surface of all there is to experience in the city. I recommend using these ideas as your base and then wandering on foot between destinations and activities as much as you can. The real Seoul is on random streets, in tucked away cafes and unexpectedly amazing restaurants. Get out there and find your own must-sees! Are there any top spots in Seoul that I missed? Share your ideas for what to do in Seoul in the comments! 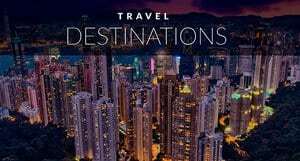 Pick up your Lonely Planet Travel Guide - This is our go-to city guide and country guide when traveling the world. We've used Lonely Planet since 2000. Use the Discover Seoul Pass to save money on attractions and it also doubles at a Transit card that you can load at your discretion. If you just want to go with the travel card you can get that here: T-Money or Cashbee Card. Get Your Guide offers Korean 4G Sim Cards to pre-order and pick up at the airport. For electronics, we use the Eagle Creek Travel adapter in conjunction with the Belkin Mini Surge Protector. It's all we need to charge 5 devices at once. Three plugs and two USB Chargers. It's polite to give and take things like money with two hands in South Korea. To be really polite when you say hello (Anyounghaseyo) in Korea, you can bow slightly towards the person you are greeting. There isn't really a tipping culture in Korea, although you may want to give something to a guide if you hire one. The Korean alphabet, Hangul, is actually really simple to learn, so why not give it a go before you arrive? Korean bakeries are really great and make a fantastic cheap breakfast or lunch. Many restaurants are set up the traditional way with low tables that you sit around on small cushions. You'll also have to take your shoes off in these areas! 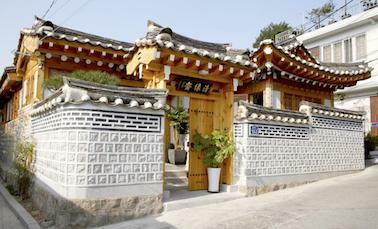 A stunning property with elegant touches in the center of Bukchon traditional village. A stylish hotel with a stunning rooftop bar and free breakfast. Great location. Seoul is a big sprawling city and while it is fun to walk as much as possible, you will need to use public transport to get between different neighborhoods. The Seoul City Pass not only saves you money on many of the attractions above it also doubles as a T Money Card (Transit Card). You can charge it as much as needed, and pay for the subway, bus or taxi with convenience. It is available in 24, 48 and 72-hour cards. Grab yours now starting at only $37 USD each. If you are just visiting mostly free Seoul attractions you can just grab yourself a T-money or cash bee card. You can use these cards on all subway and bus lines in the city. Purchase your ticket from a convenience store near your hotel, or at the airport, and then top them up at any other convenience stores around the city. 7-Eleven, CU and GS25 will all stock these cards. Seoul’s Incheon International Airport is actually in a separate city, but it is incredibly easy to reach the city center. While Korea’s taxi services are relatively inexpensive, especially with the addition of Uber, we recommend taking the convenient public transport system. Two subway lines run to the city center. - the AREX takes about 45 minutes, and the regular service takes just over an hour. you can opt for a private transfer right to your hotel. By far the best times of the ear to visit Seoul are between March and May and September and November. Spring is when the cherry blossoms are in full bloom thus making it a popular time to visit. The city is at its most colorful at this time and perfect for photography. In the fall, temperatures may be a little cooler and temperatures change quickly, but if you are into hiking this is the perfect time to visit. You have the added bonus of the fall colors as your backdrop. 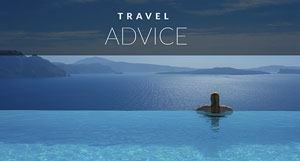 It is worth noting that crowds may be a little larger and hotels will be increasing in price. 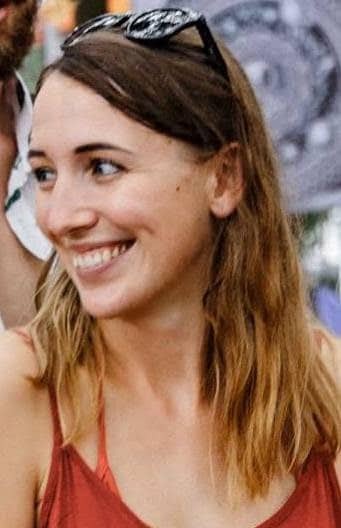 Jade House is a freelance writer who has spent the last few years in Asia. 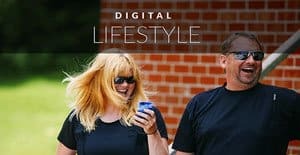 She is currently exploring Europe in a campervan with her fiance and their dog and she blogs about it on journey-count.com. Follow the day by day journey on Instagram.